We’ve just finished two websites with a musical theme – www.motleycrew.me.uk and www.melaniebridle.co.uk. Both have been built in WordPress, the content management system that’s powering an ever-increasing number of the world’s websites. The Motley Crew are a Brightlingsea-based group of shanty singers. They sing at local fetes, functions and events, raising money for the RNLI as they go. One of their requirements for the site was for an e-commerce function to sell their debut CD, “Rolling Down to Brightlingsea”, which we built in with the popular Woocommerce plugin. The site features also features picture galleries and clips from the album. There’s also a calendar feature for Motley Crew members, hidden behind a passworded page. 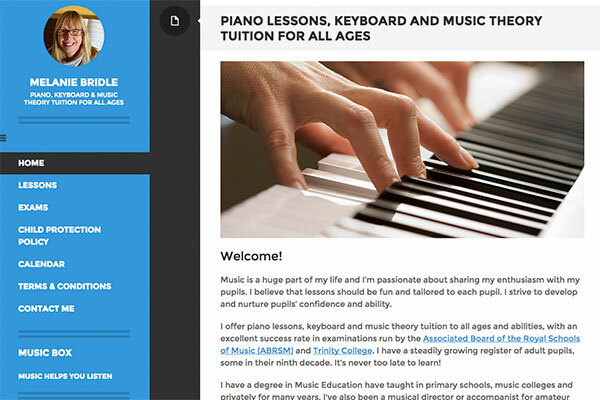 Melanie Bridle is a piano and keyboard teacher in Brightlingsea. Her website was designed to be simple to maintain, with a blog facility and contact form. In the first week, the site generated two enquiries, which have led to one new pupil being signed up. Both sites are designed to be responsive, so they look just as good on smartphone or tablet. In both cases, The Press Gang manages both domains, registering the domain names, managing emails, making regular backups and keeping everything up to date for maximum efficiency and security. Other sites in progress include those for a construction business, two cleaning companies, a translation provider and a couple providing services for UK visitors to Morzine in France. If your online presence needs sharpening up, why not get in touch?